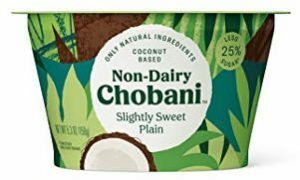 Get one (1) FREE (1) Chobani Non-Dairy Yogurt 5.3 oz at Stop & Shop, Giant Food, and Martin’s Foods Stores. Exp: 04/18/2019. Unfortunately, it looks like this promo is regional. any ONE (1) Well Yes!® sipping soup, 11-11.2 oz.